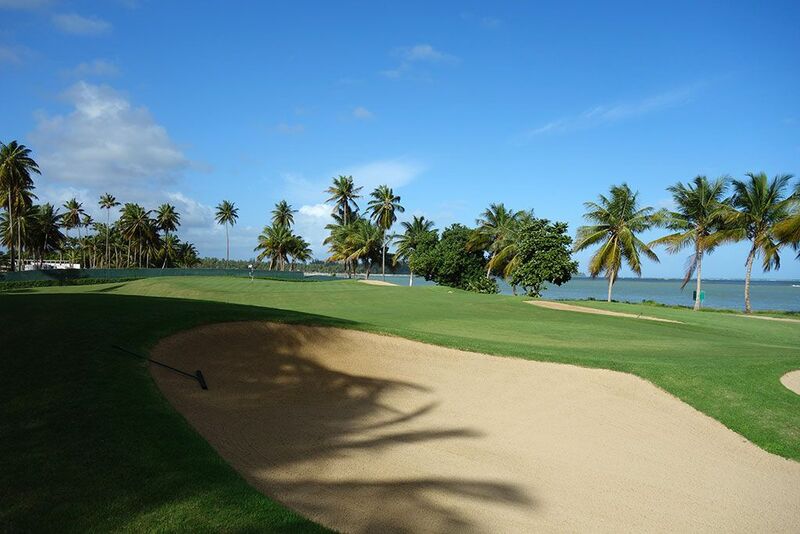 Course Website: Official Website - Visit Bahia Beach Resort and Golf Club's official website by clicking on the link provided. 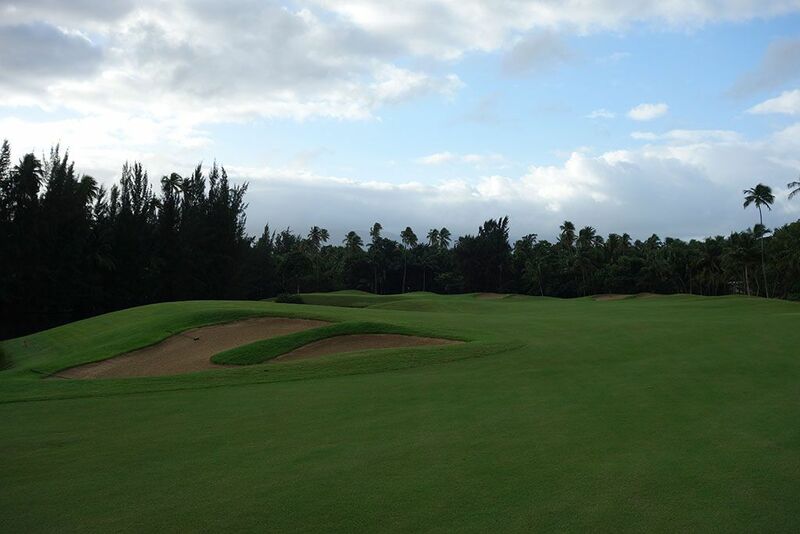 Accolades: Ranked 3rd in Puerto Rico by Golf Course Gurus. 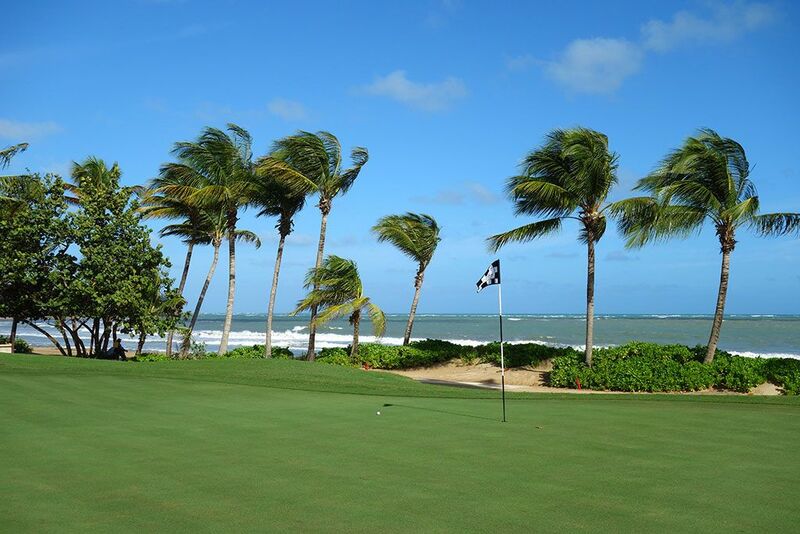 What to Expect: Bahia Beach is located on the north side of Puerto Rico approximately 30 minutes east of San Juan. 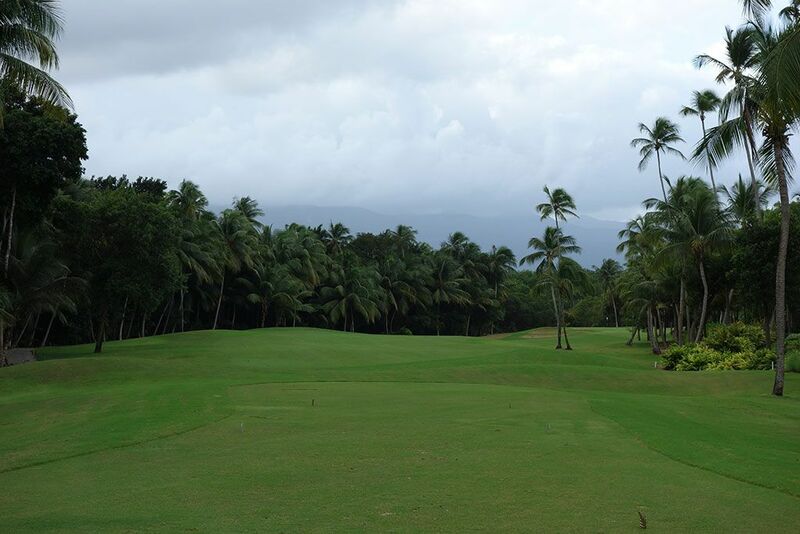 Robert Trent Jones Jr. was brought in to redesign the course 16 years after opening and was selected due to his vast experience working with courses in tropical locations like Hawaii and the Caribbean. The routing works its way through the jungle and offers an isolated feel through much of the course. Jones has the course well bunkered and featuring water hazards which add aesthetics and strategy to the relatively flat terrain. Conditioning is fair throughout the course but certainly nothing to write home about. The climax of the routing comes at the end where holes 16-18 formerly all ran along the beach however hole 17 has since been removed from the coast and relocated inland so that the resort can be expanded to that beachside location. GPS carts help players navigate through the course although if you wanted to walk the terrain is easily managed. 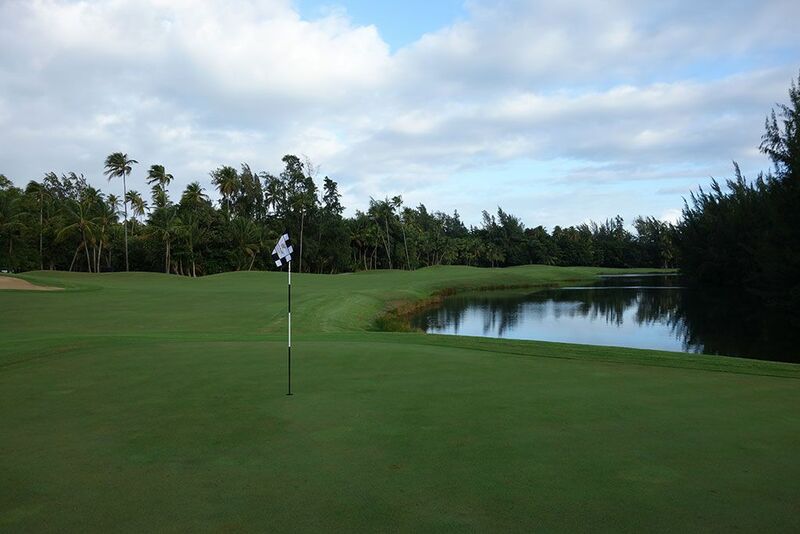 The complementary range can get you warmed up before the round or offer a place to work on your game after 18 holes. 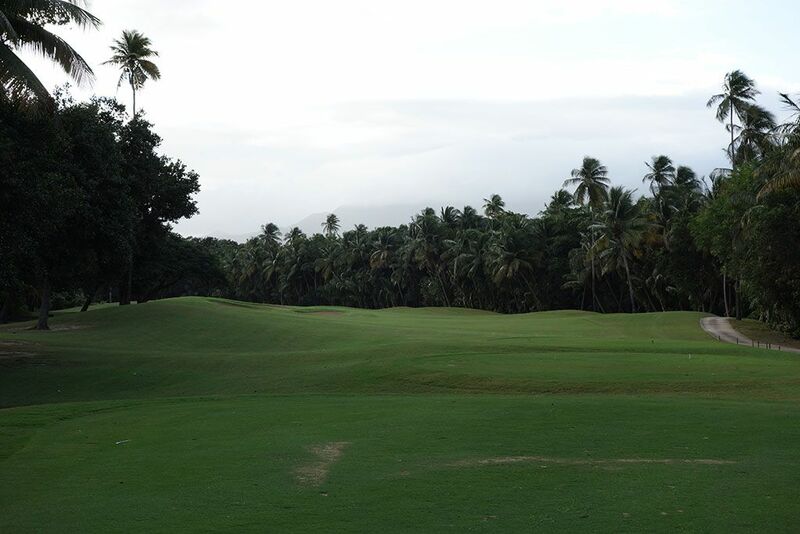 Signature Hole: 16th Hole – 457 Yard Par 4 – The 16th begins the climatic ocean stretch of holes at Bahia Beach, but this hole has as much brawn as it does beauty. At a challenging 457 yards, the 16th has the prevailing wind coming in off the ocean to your right, and a bit behind you, and will blow your ball towards the bunker on the left side of the driving zone. The mid-length approach is to a green defended by four bunkers; three along the left side of the putting surface and a large bunker well short and left of the green that appears greenside from the fairway. 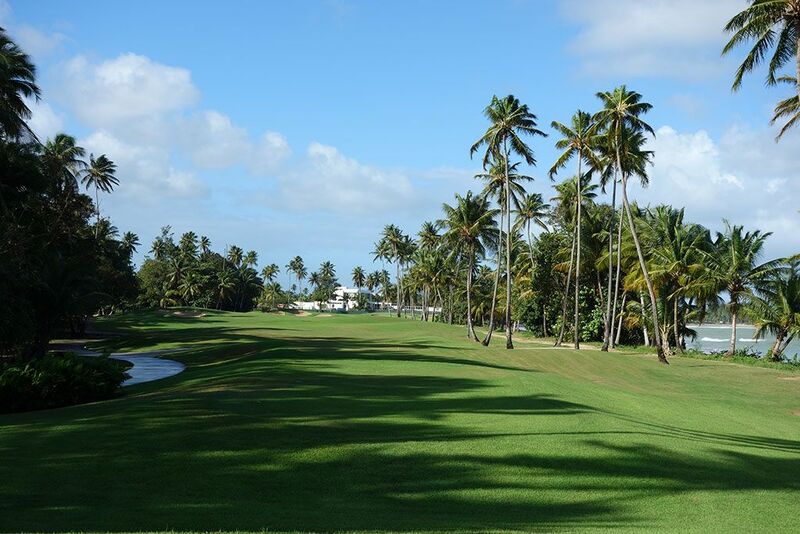 A row of palm trees is the only thing that separates the green complex from a sandy beach. 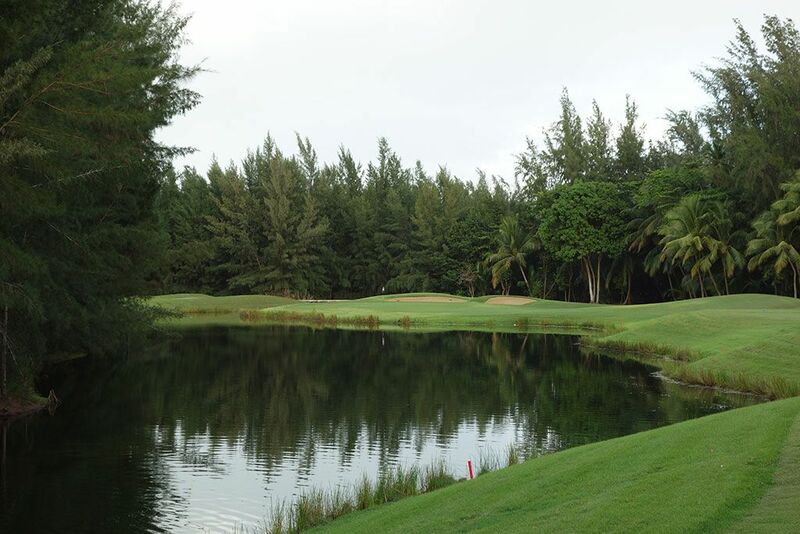 Best Par 3: 4th Hole – 185 Yards – The 4th is a classic cape design around a pond that fronts the green. The closer tee work up the right side of offer less water to contend with on the carry and the angle. From the back tee it is a heroic shot where you stand on the tee box hoping this isn't the time you fat one halfway there and watch your Pro V1 take a nosedive to the bottom of the pond. The trees engulfing the hole give this par three a welcome feeling of isolation. 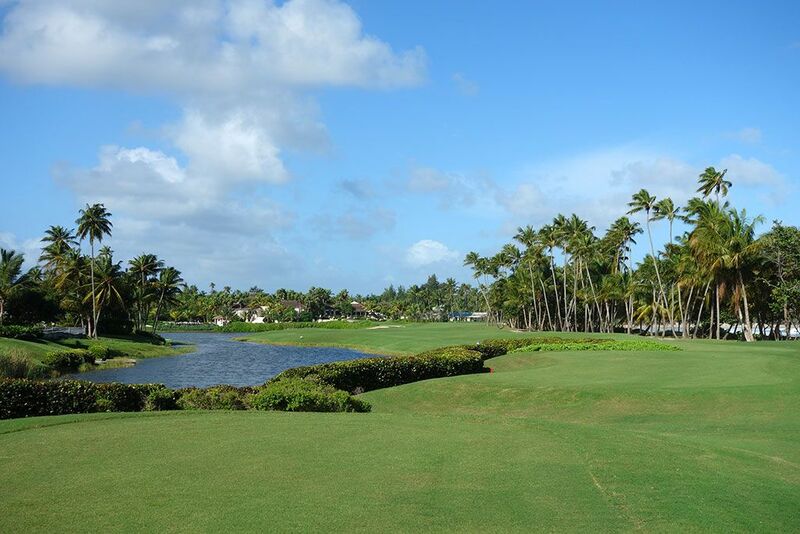 Best Par 4: 18th Hole – 458 Yards – Bahia Beach's longest par four is also its best with a small lake framing the entire left side of the hole while the beach and ocean set the boundary on the right. The prevailing cross breeze will move tee shots towards the lake but the fairway also offers some forgiveness by opening up to its widest point near the driving zone. Bunkering is found on each side of the green with an approach that comes in short and a bit right being the only safe miss. 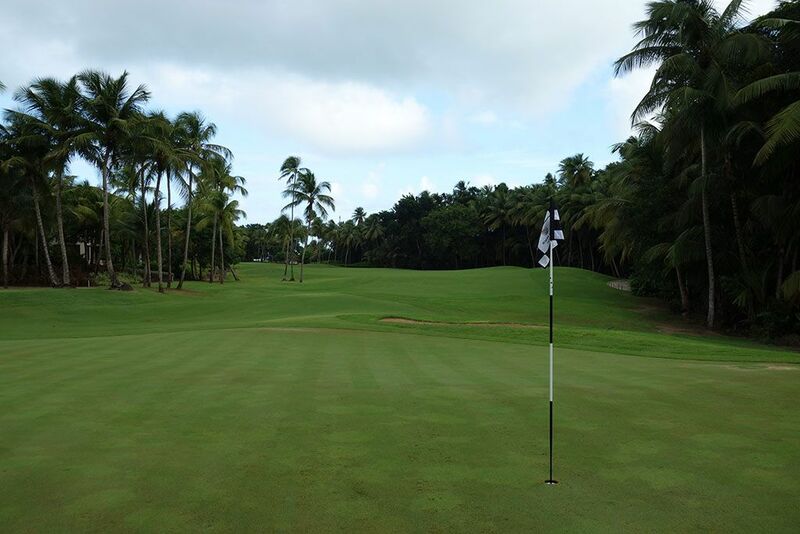 The beautiful setting standing on the green is one of Puerto Rico's most scenic offerings. Best Par 5: 5th Hole – 568 Yards – The hole is a steady dogleg that bends slightly left the whole way from tee to green with water sitting on the inside of the dogleg. Players that are too cautious playing away from the water will encounter four different bunkers on their trek to the green and jungle further right of that. The green creeps ever closer to the water and features some sucker pins on the left side to entice players to foolishly attack. Birdie Time: 10th Hole – 316 Yard Par 4 – The back nine starts off generously with a short par four that can get you kicked off with a birdie after the turn. The hole plays slightly downhill with a late bend to the right. Players that aren't willing to challenge the palm trees on the right, or hit a power fade, may find themselves heading straight to one of the three bunkers found on a direct line from the tee box. Whether you take a rip at the green or lay up, RTJ Jr. is begging you to take a stroke back from Old Man Par here. Bogey Beware: 6th Hole – 442 Yard Par 4 – One of the most challenging shots in golf is required off the tee here; a baby draw to a fading fairway. If you draw it too much you will find the large bunker complex resting on the left side of the fairway and if you don't draw it at all you could find yourself blasting it through the fairway to the trees framing the right side. The approach shot seems tame due to the lack of bunkering but the water protecting the left side of the green and narrow opening to the putting surface are quick to slap a dose of reality to your confidence level. Hang on here, bogey isn't a bad score to walk away with.